This is usually served with hot chocolate. Mmmmmmm…. those look tasty…. Your making me HUNGRY with those wonderous pictures!!! willow: thanks! These are mighty delicious, we are going to be eating them all day. I am Colombian and i have never eaten them with sugar on top. What we will eat them with is dulce de leche and some cheese or just plain. Christine: huh – I have never seen them served with arequipe. I may remember some distant memory of them being served with cheese – plain is always awesome. I spent Christmas with a Colombian family and they had bunuelos without sugar on top and with natilla. it was really yummy:) have you tried it? 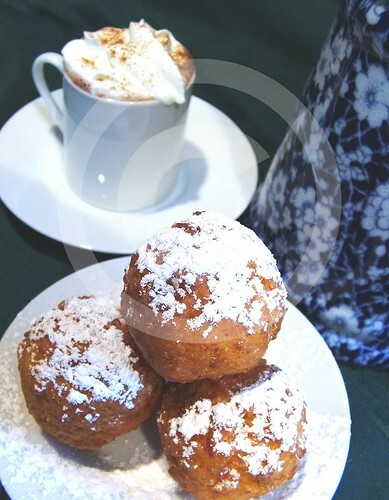 Alena: certainly, this is traditional – bunuelos y natilla. I dont make natilla because I ate too much of it once and got sick and have not really been able to eat it since.